Martha Berry sends Mr. Eberhart a plate to be repaired along with some literature on the Berry Schools. 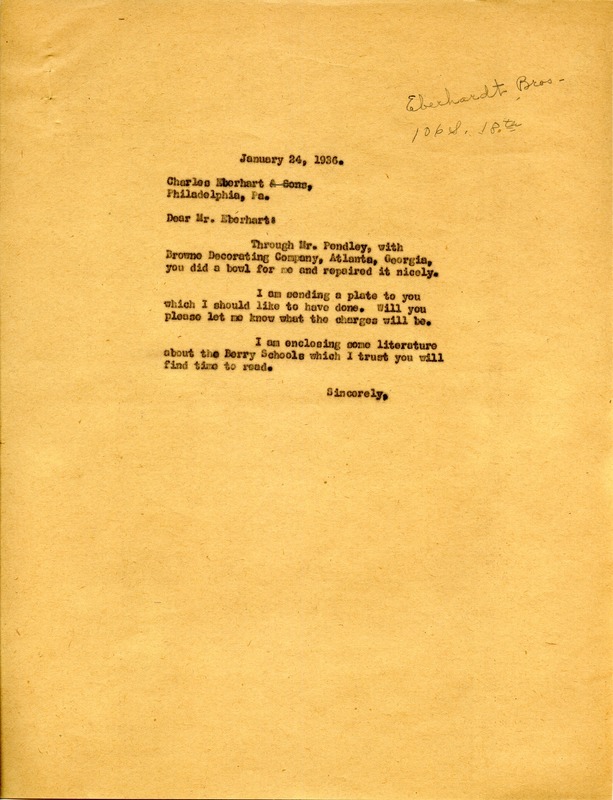 Martha Berry, “Letter to Charles Eberhart from Martha Berry.” Martha Berry Digital Archive. Eds. Schlitz, Stephanie A., Allison Moore, Chelsea Risley, et al. Mount Berry: Berry College, 2014. accessed April 25, 2019, https://mbda.berry.edu/items/show/13620.